Wages given to the painter depend on the number of hours worked. As can be seen in the graph, the wages increase as the number of hours increase but wages will not be increased further than $100 once the number of hours reaches 30. A function is a mathematical relation between two variables. To be more precise, a number which could be represented in terms of another quantity represented by a variable say x is said to be the function of that quantity. A function is represented as y = f(x), where y is a dependent variable and x is an independent variable and y is read as ‘function of x’. A function always evaluates to a single value for a given value of x. If a relation gives more than one value for the same value of x, then it is NOT a function. Domain: The domain of a function is a set of all possible input values for x (or the independent variable), for which the function is defined. For example: In the above graph between wages and number of hours (Figure 1); the independent variable i.e. time cannot be less than zero. Hence its domain is any value that is greater than or equal to zero. This can be represented as h>=0 where h represents the number of hours worked. Range: The range of the function is the range of the values that the dependent variable can have. 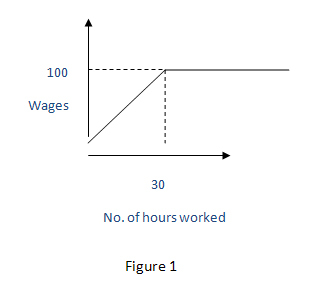 In the above example (Figure 1), the wages given to the painter cannot be less than zero and according to the graph the maximum wage that the painter can earn from this work is $100. Hence range is 0 =<=100, w represents the wages given to the painter for working h hours. 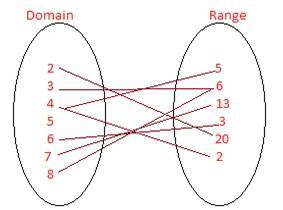 The domain can be represented as a set of values that map to a particular value in the range of the function. Consider the following relation between year and profit % of a company. 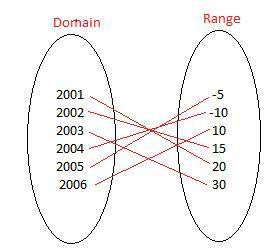 If each value in the domain maps to a unique value in the range, then it is called a one to one relation. Mathematically it means if f (a)=f(b) where a and b are some values in the domain of function f, then a has to be equal to b, otherwise it would mean more than one value in the domain map to the same value in the range. Does the following relation represent a function? According to the definition of function, each value in the domain must map to a single value in the range. 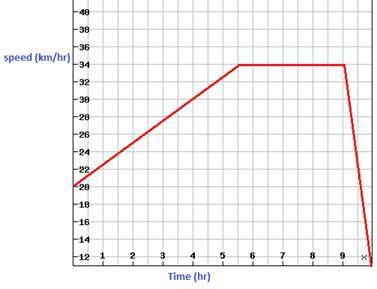 The graph below shows the relation between the speed of a vehicle and time in the interval 0 to 10 hours. Find the domain and range of the function represented by following graphical relation. For t=0, Range of Speed: s=20 km/hour. For 5.5=< t < 9, Range of Speed: s=34 km/hour. Why is water flowing through the pipe so slowly? Let’s understand the situation with the help of functions and the following illustrative example. This is a pipe through which water flows. The amount of water that flows through this pipe depends on the size of opening in the pipe. If the opening is narrow, the amount of water flowing through will be correspondingly less. When you have a broader opening, the amount of water that flows through will be greater. Here, if the size of pipe opening is x and the amount of water flowing through the opening is y. Then, writing a function of x and y will be like this. The speed of the car increases by .5 km/hr after every 30 minutes. What are the dependent and independent quantities here? Speed of car is the dependent parameter that depends on time and time being an independent quantity. Below is the record of percentage of students who passed for different years for a high school in New York. This information can also be represented in graphic form as a bar chart or as the graph shown below. 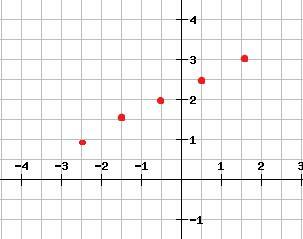 When the graph of a relation has just the collection of points which cannot be connected through a smooth line or curve, that type of function is called discrete. Here the information is presented only for discrete years 2006, 2007 and so on. The information regarding the value between any two years is irrelevant and cannot be calculated on the basis of the given plot. In a discrete graph, the data values are discrete i.e. non continuous. When the graph of a function has points that can be connected to form a smooth curve or a straight line, the function is called a continuous function. Here the domain of the function consists of continuous values and not discrete or non-continuous values. This is an example of a continuous function. Does the following graph represent a continuous or discrete function? Which one of these is a function? Answer: Relation 1 is a function. Identify which relation is a function. Answer: Relation 2 is a function. An example of a functional relationship where time is a dependent quantity is. The increase in energy of a falling object with time. The increase in population with time. The number of boxes that can fit into a carton depends on the size of the carton and the size of the carton depends on its price. Which of the following will be true? The number of boxes per carton depends only on the carton size. The number of boxes per carton depends only on the price of carton. The number of boxes per carton depends on size of the carton and its price both. The number of boxes per carton depends on either the size of the carton or price.